Smarter HR Solutions - Your HR Consultancy In Houston! Helping you work Smarter not Harder. Your business has different needs than the one down the road, and we understand. Our professionals give you the individualized HR consulting your business requires to run smoothly. Your HR department needs to match the overall tone and brand of your company. Smarter HR Solutions provides innovative, fresh ways to keep you ahead of the competition while staying HR compliant. You may need an employee handbook; you may need an entire department overhaul. No matter how big or small the project, hiring us for your HR outsourcing sets you up for success. The right HR solution requires finding a team with experience, accolades, and professionalism. Our HR consulting firm is proud to provide the benefits of all of the above to our clients. Smarter HR Solutions is your business’ way to work smarter — not harder. We offer all-encompassing HR services designed to help small to medium-sized business find the solutions they need to exceed. Many HR companies send you to several spots to get the data, personnel, and information you need, but not us. We are the hub. We are the singular source of all the HR resources you need to be successful. As members of the Association for Talent Development, SHRM, Texas Bay Area SHRM, Clear Lake Area Chamber of Commerce, League City Regional Chamber of Commerce, and the National Association of Minority Contractors (NAMC), we are ready to be your HR advisors, whether you need human resource consulting, recruitment, and even benefits. 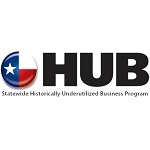 We are also a certified MBE, SBE, WBE, and HUB with the City of Houston. We allow our accomplishments to speak for themselves. Contact us today for a one-stop shop for training, scalable HR solutions, and marketing. We look forward to setting your business up for success.